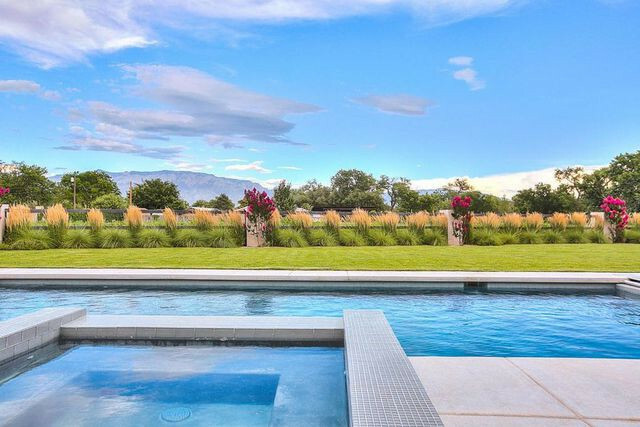 “Breaking Bad” fans can now buy the Albuquerque, NM, home featured in the series finale—the memorable mansion is on the market for $2.5 million. To refresh your addled memory, the modern home stood in for the home of Walter White’s science partner from college, Elliott Schwartz (Adam Godley). Elliott and his wife, Gretchen Schwartz (Jessica Hecht), amassed a fortune as co-owners of the fictional Gray Matter Technologies while Walter stews about his research being used as the basis for the billion-dollar company. Aside from the chilling confrontation between the former colleagues, the beloved show’s location scouts had excellent taste in real estate. 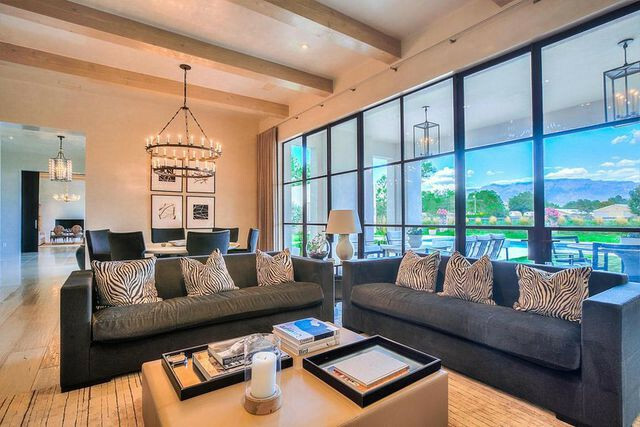 The well-appointed, 5,900-square-foot home comes has four beds and 5.5 baths. It comes with 2 acres. 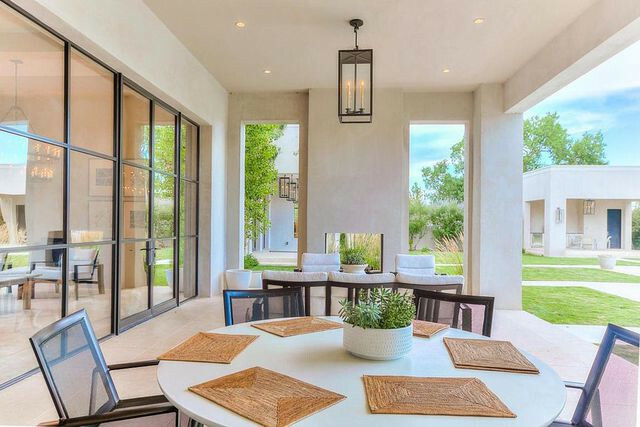 The home was designed by Lorri Brunacini, CEO of Simply Home, in partnership with John Brooks Design. Completed in 2010, it went on the market in 2015, at the same time another famous home from the show was also up for sale. Brunacini studied under the legendary designer Christian Liaigre, who conceived homes for Calvin Klein and Karl Lagerfeld. According to Brunacini, the look of the Albuquerque home was inspired by Liaigre’s style. 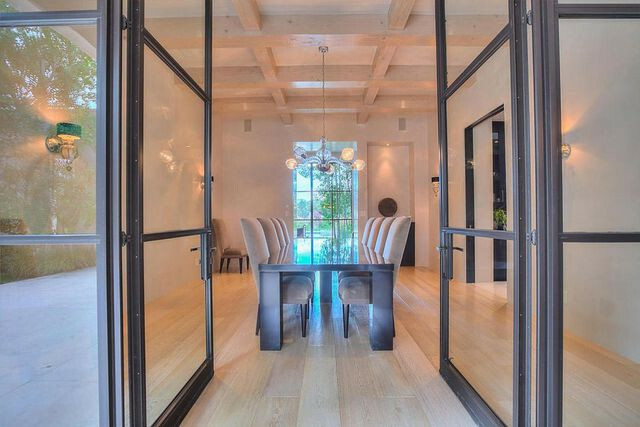 The well-lit home features walls of glass, a living space that opens to the outdoors, a high-end kitchen, and a formal dining room. Outside there’s a pool, cabana (with kitchen, bath, and shower), and covered patio. The glamorous interiors caught the attention of the show’s New Mexico–based production staff. That picture-perfect decor could be included in the sale for an additional fee, notes Feil. Despite the avalanche of attention, it’s not a slam-dunk sale. The famed home is at the top of the market for the high desert town. According to realtor.com®, the median home price in Albuquerque runs about $230,000. You just might have to start your own version of Gray Matters to afford it. Potential buyers would “get to say their house was in ‘Breaking Bad.’ People love that,” she adds.